Saint-Petersburg State Museum of Theatre and Music is a multifunctional scientific, cultural and educational complex devoted to the history and practice of the Russian theatre from its foundation till present days. The history of the Museum counts over one hundred years, its holdings and collections contain over 500,000 invaluable items, including the biggest collection of musical instruments in Russia, paintings and graphic works by Iliya Repin, Kazimir Malevich; Anna Pavlova’s and Fyodor Chaliapin’s costumes, as well as autographs of L. Tolstoy, A. Blok, N. Rimsky-Korsakov, D. Shostakovich and other rare materials about the most distinguished personages of Russian culture of 18-21th centuries. The gem of the collection is the works of theatre scenery art donated to the Museum by Nina and Nikita Lobanov-Rostovsky in 2013. The Museum complex comprises 5 separate museums located in historical buildings of St. Petersburg: The Museum of Theatre is housed in the former building of Imperial Theatres Directorate (architect Carlo Rossi). 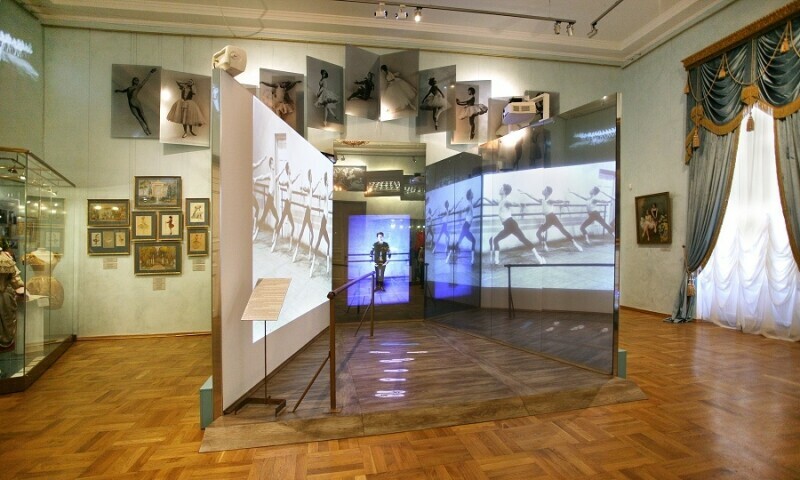 Its exhibition is devoted to the history of Russian and world theatre. The Sheremetev Palace – Museum of Music accommodated in a splendid palace of 18th century gives you the impression what life might have been like for the Sheremetev family. The biggest collection of musical instruments in Russia is displayed in the Palace as well. N. A. Rimsky-Korsakov Memorial Museum is a unique memorial museum of great composer with the interiors preserved just as it was in 19th century. Fyodor Chaliapin House Museum is not only the museum of famous Russian singer and actor, but it also houses the immense collection of the Museum’s Open storage. The Samoilovs’ Memorial Museum presents the visitors the history of the artistic dynasty of the Samoilovs family. Being a creative, artistic and alive complex with several concert halls, exhibition and interactive areas, the Museum often hosts concerts, lectures, educational and theatrical activities for adults and children. In 2009 Museum of Theatre and Music founded the International Art Festival Diaghilev P.S. that became one of major cultural events in Russia. The mission of the Festival is to encourage and facilitate cultural and creative exchange between Russia and the rest world, to introduce the most significant and innovatory works in various art genres and to discover new talents. Many expositions and exhibitions of the Museum of Theatre and Music were awarded Museum Olympus Prize, the highest museum award.